A recent GAO report showed just how poor of a job that the Department of Education and its various servicers are doing in communicating and explaining options to reduce student loan debt. This is the primary reason why so many people are being declined Public Service Loan Forgiveness. So I’d like to recognize and thank employers and schools that are picking up the torch and helping to get student loan relief for their employees. 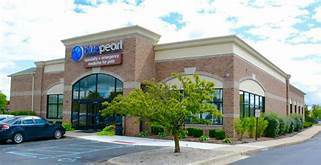 This week, Blue Pearl Veterinary Partners, allowed me the opportunity to join Ken Russell of Principal Life to help explain student loan options to their interns at their veterinary hospitals. Turns out veterinaries have doctor sized student loans but not doctor sized pay. My aunt is employed by Mercy/Methodist hospital up north which is now giving out resources to its employees to help them understand and apply for income driven plans. I commend employers who recognize that we are in a student loan crisis and have taken the time to help get needed information to their employees. This year, we also put on a seminar for upcoming graduates of University of Tampa on what to expect and how to minimize their student debt. Both employers and schools see the problem. Relying only on the Department of Education and their array of servicers is turning out to be a miscalculation that is costing former students their future. The servicers pay their customer service employees more money to cut calls short – short call durations = bonuses. If sued, the servicers claim that they do not represent the borrowers, they represent the student loan creditors. And finally, both the servicers and the Department of Education argue that the federal Higher Education Act preempts any state consumer protection laws. We do not believe that is true and the issue is up on appeal right now in the Eleventh Circuit. If you or someone you know is buried in student loan debt and needs to know their options, please reach out to us or a student loan attorney in their area.